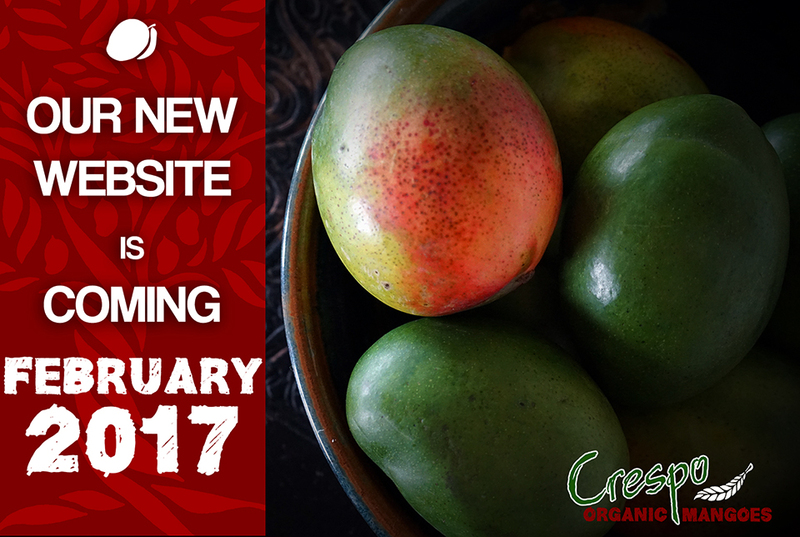 The first cut of the 2017 Mexican mango season will happen sometime around the second week of January but the US market won’t get their hands on any until mid February. The projected “normalcy” that Crespo Organic reported on in late November 2016, seems to be on track and with each day comes more exactitude in our forecasting. 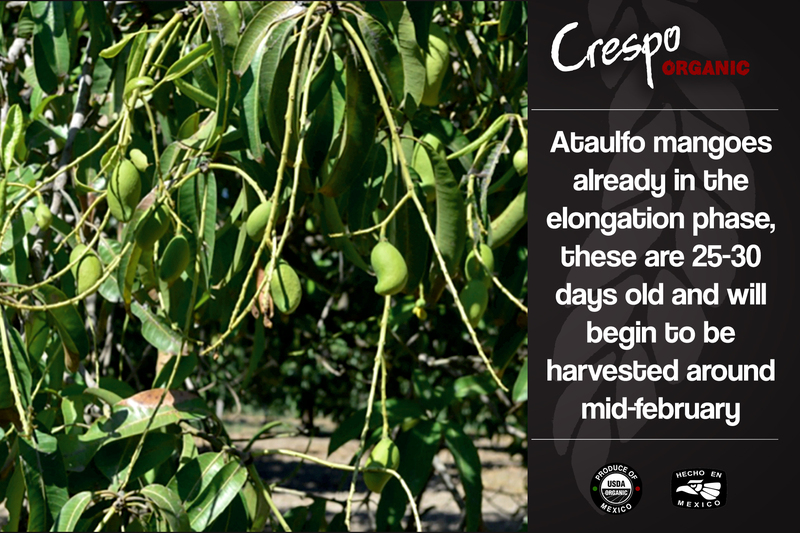 Early bloomage and cooperating weather has given way to ample fruit formation for this spring and we are happy to continue to predict a “normal” mango season for the southern Mexican regions of Oaxaca and Chiapas. 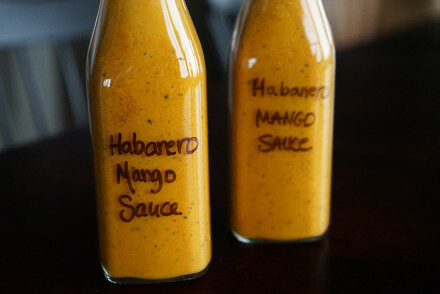 This not only good timing but good for the Crespo Organic Mango season we are about to “spring” into. The definition of a normal season, in terms of fruit from the early Mexican southern region, is an important factor in understanding the dynamics of the early spring and when exactly the USA will see Organic Mexican fruit. This normalcy definition is especially important this season as the organic Peruvian season is slated to end earlier with lighter volumes somewhere around the end of February or March. 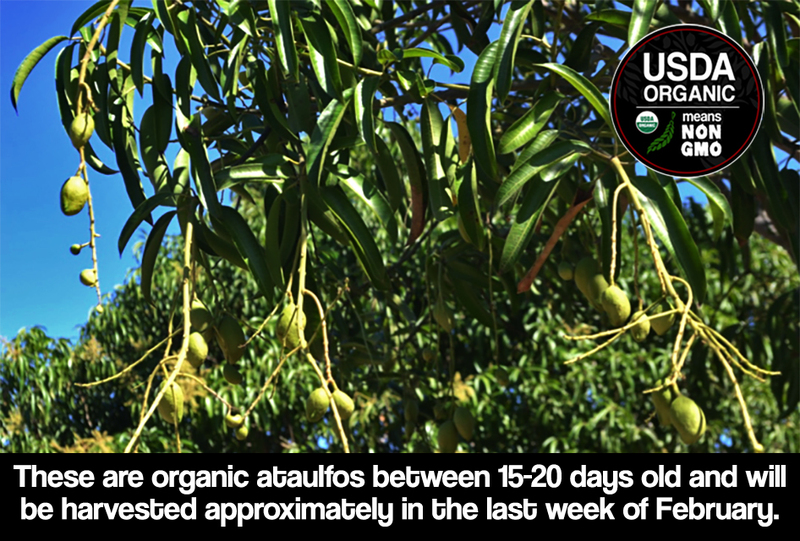 This earlier ending has the possibility of causing possible market shortages or in the very least putting pressure on the organic mango pipeline during the transition from Peru to Mexico. If the Mexican fruit comes onto the market too early seasonal pricing can be an issue for producers, if it comes on too late customer loyalty is threatened due to the basic demand necessities of the big retailers and possible shortages in the mango markets. Perfect timing is crucial for both the producers and the retailers- allowing for a smooth transition from one country to another and allowing for continued fill rates and gearing up for Spring promotions which resonate very well with North American consumers. So even thought the onset crop is light, it is normal and this season it is timed seemingly well. Quality factors will contribute to light export quality as the dawn of this particular season arrives. Even though fruit will be harvested in a few short weeks, the early fruit is showing a variety of minor quality problems such as pests and light disease that can disqualify them for export markets. 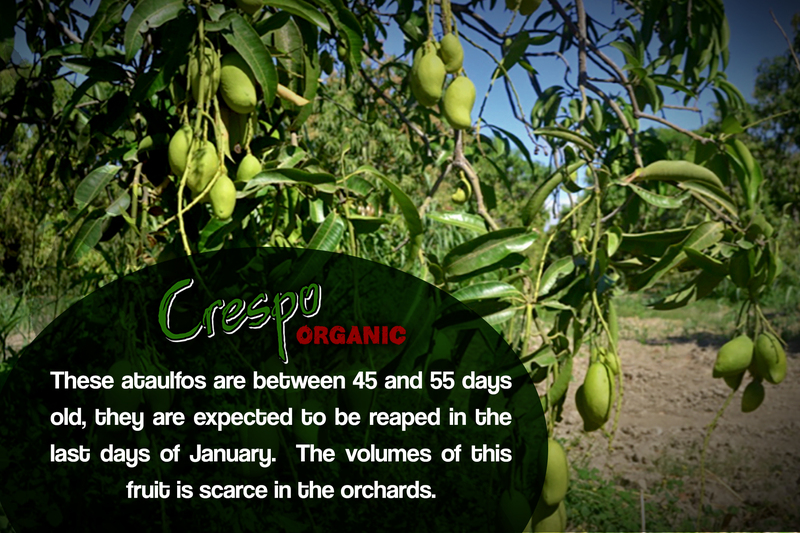 This again can be typical of the onset fruit, and in general onset regions throughout Mexico and the world. This brings us to the next contributing factor of the scanty available export volumes; the local market and it’s hunger for mangoes. 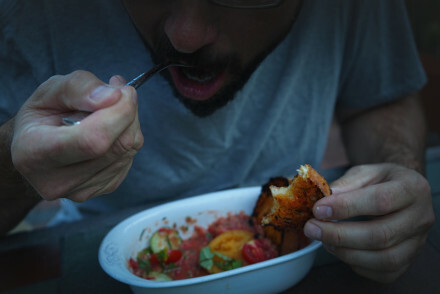 Mexico has a complete lack of production from September through January and yet the local hunger for mangoes is strong. 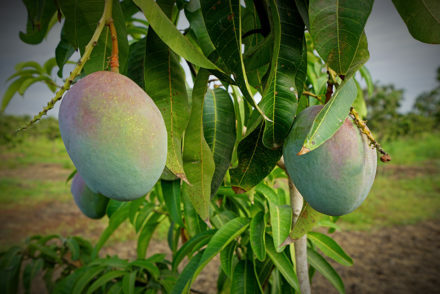 There is some importation during the off-season from the Caribbean, Ecuador and Peru, but it makes mangoes very expensive and out of reach for a majority of Mexicans. Most Mexicans patiently await the arrival of their “local” fruit, which arrives in January and February. Mexico’s first producing months of the season bring very strong local prices and thus the local market becomes the main market for the earliest fruit. The local markets pay well and do not require strong quality as the export markets do. Typically the Peruvian price is at it’s lowest in February making it easy for the Mexicans to look to their local markets, where the conditions are quite perfect for the early fruit, especially if you factor in that the export packing houses are not typically opened until February. Since Peru is slated to come to an end for organics sometime in March, the timing seems good for Mexican producers especially considering the pack houses are not yet open and so even if they wanted to export they cannot. Since the volumes of export ready fruit is typically light at the beginning, the packing houses, which are very few in the south, only open once there is enough export quality volumes to move through them. It’s not just simply a matter of economics either; it’s also bit bureaucratic as USDA Hot Water Immersion, or Hydrothermal Treatment has to be approved and staffed by APHIS before they can open. ( Learn more about the mangoes Secret Bathing Ritual). The pack houses are often at the mercy of the USDA/APHIS staff and protocols in terms of when they get to open up for the export season. The timing is all crucial and it’s lining up well. 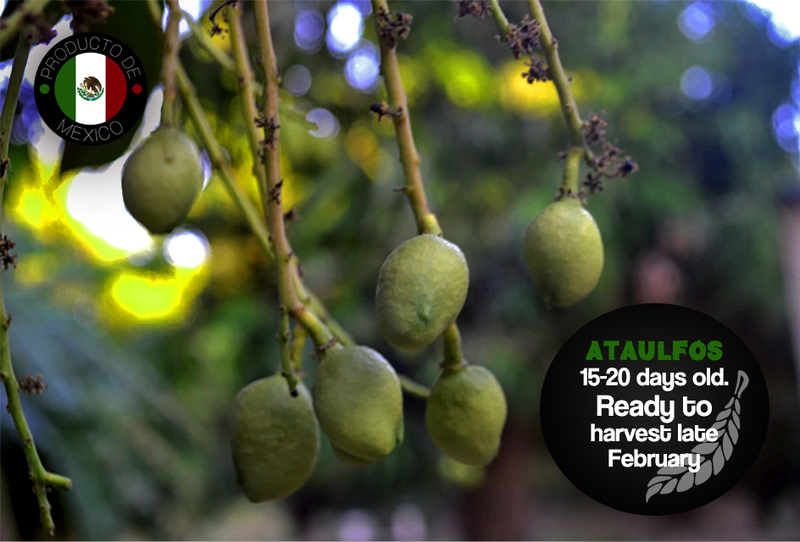 Organic Ataulfos will start shipping mid February with light volumes that build over the course of about a month until mid March when we expect good volumes. April onward tends to be the target for promotable quantities. 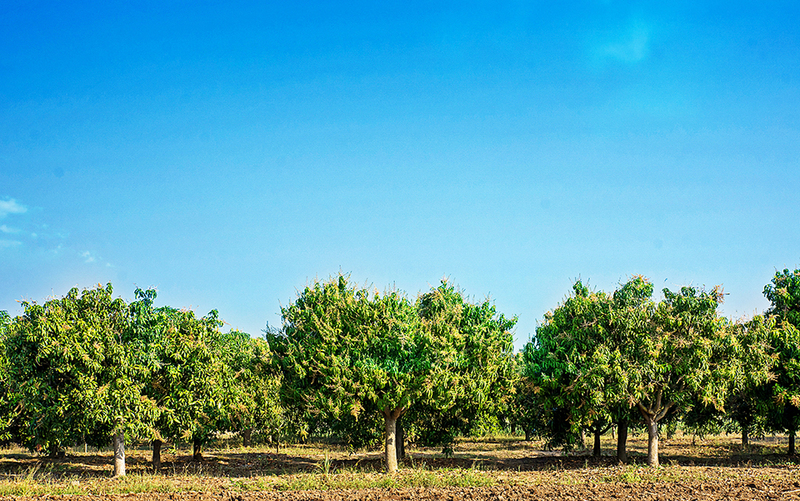 Ataulfos are the first trees to harvest in all regions of Mexico. 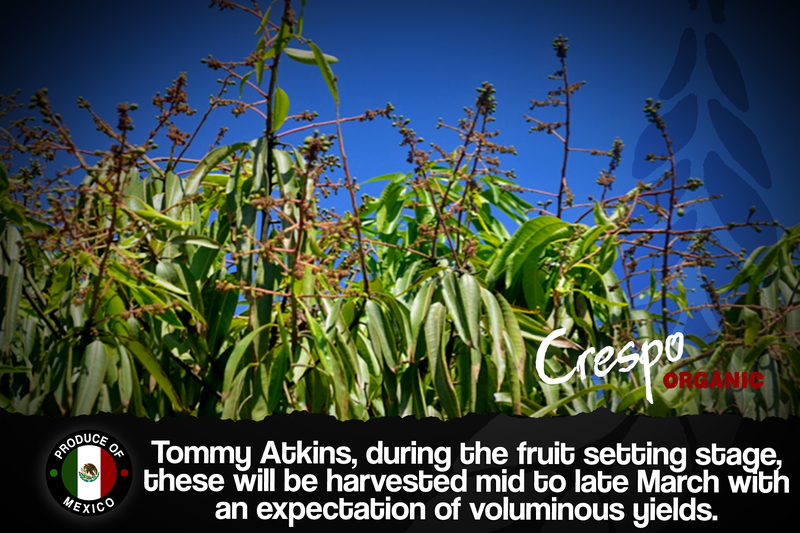 Tommy Atkins will follow in mid March with lighter onset volumes as well based on the aforementioned contributing factors. The Tommy Atkins will build a bit faster in volume and again be ready for April and onward larger promotions. We expect our southern pack house in Oaxaca to open for export in the first weeks of February. 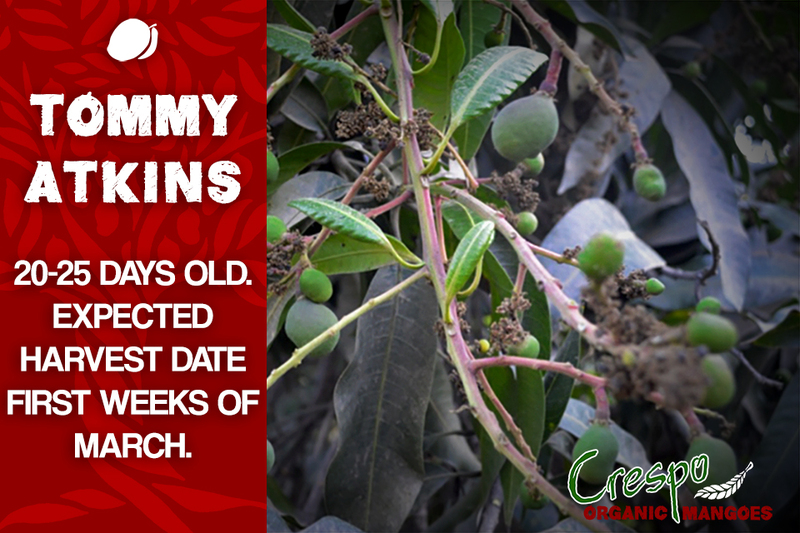 Our orchards from our southern partners consist of about 200 hectares of organic fruit, 60% of those are tommy atkins and 40% of those are ataulfos. Quality is expected to be “normal” and final flavor and sweetness determined by the weather in the next few weeks coupled with the good weather and water and nutrient intake the trees have already experienced we are expecting sweet and flavorful results. Volumes are predicted to be ample come April, and of course we look to the weather over the next few weeks as it will dictate just how ample our yields will be. One thing is for certain, the huge shortage the market experienced last year in March and April will not be repeated! I will be reporting more news on the Crespo Organic Nayarit, Michoacán and Sinaloa seasons as they progress further as well. 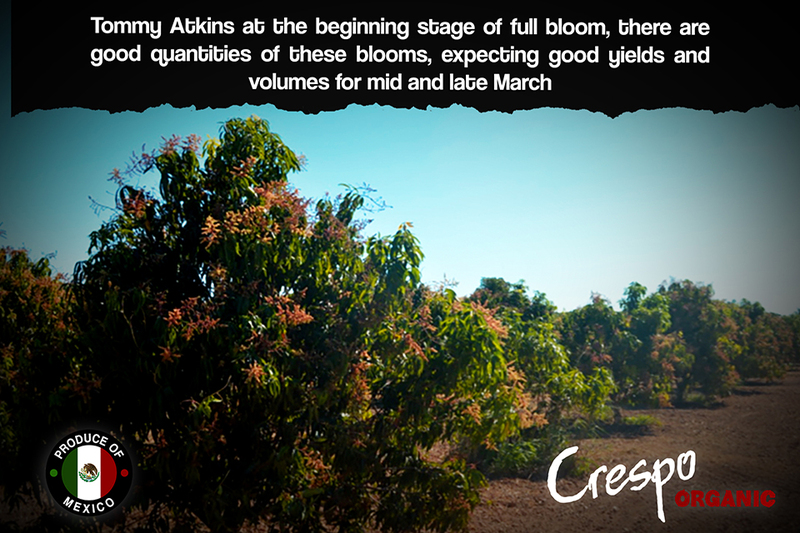 Right now we are seeing good bloomage on Ataulfos, Tommy Atkins and Kents which will begin blooming in about two weeks. As we peak in the Sinaloa region we are watching -hoping for more cold weather. So far the weather in the northern regions hasn’t been as cold as we would like for the mangoes. Warmer weather can bring rains and rains during blooming and formation stages can bring problems like bloom abortion, bloom blow off, scarring, general quality defects and ultimately a lack or shortage of decent fruit. Current weather forecasts are calling for some cold weather to come in and stay and that would be great for even sweeter 2017 season predictions!